With the recent Accurail product announcement of Fowler box car kits, Ray Breyer got busy and created a Prototype Data file to review the prototypes of the roadnames in the initial kit introduction. Ray also researched the origins of the car design and found some interesting details. Model image from the Tangent Scale Models website. I hope all those who model the 1920s through the 1940s have heard about the recent Tangent Scale Models GATX tank car release. Two of the paint and lettering schemes follow early 1920s practices and a few car numbers are available in each of those decorated styles. A couple of these models should be hitting my doorway soon. DL&W Freight Yard, Ithaca, NY, 1909. Photo X0082 DL&W Company Photo Collection, Steamtown NPS. Ray Breyer is back with a fourth and final prototype summary for the upcoming Accurail HO scale 36-foot box car models. Four variations of the model are planned. Initial paint and lettering schemes were announced earlier this year. 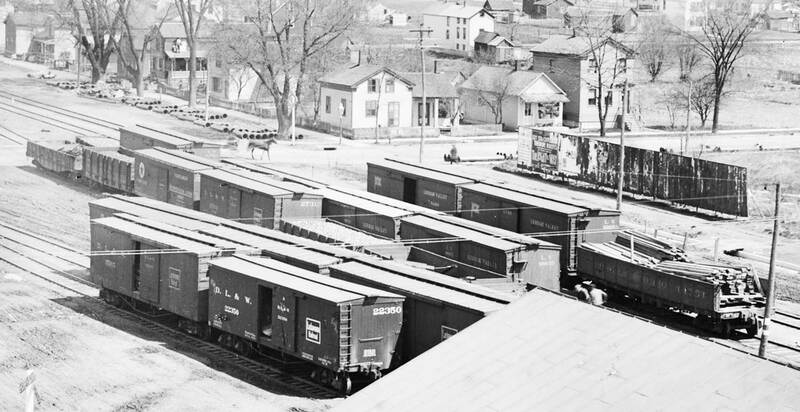 Ray estimates there were more than 40,000 box cars with these features built to similar designs. The PDF data sheet is posted on a special blog page, Accurail Prototype Data. Click on the link for the 1800 series for Ray’s latest summary. Accurail has posted the introductory roadnames for their 36-foot box car models on their website under the specific kit series numbers; 1300, 1400, 1700, and 1800. The links for these are near the bottom of their main webpage. These models are scheduled for late summer 2016 release, as per notes on each of those product pages. 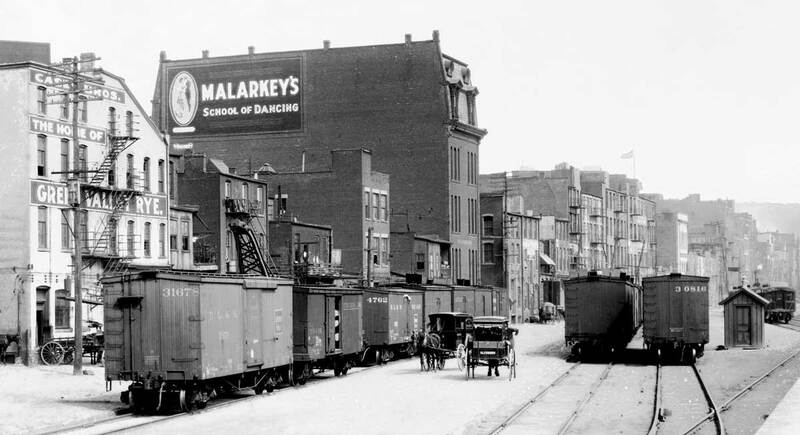 DL&W Freight Transfer Yard, Scranton, PA, September 5, 1910. Photo B0663 DL&W Company Photo Collection, Steamtown NPS. It’s time for another prototype review for the upcoming Accurail HO scale 36-foot box car models. Four variations of the model are planned. Initial paint and lettering schemes were announced a couple of months ago. Ray Breyer has another summary covering prototype cars for each of the introductory models that will have fishbelly center sills and wood ends. 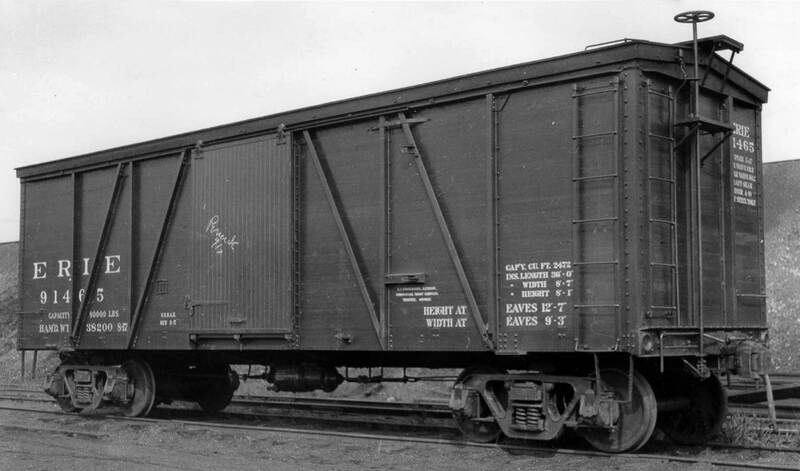 Ray estimates there were more than 40,000 box cars with these features built to similar designs. The initial PDF data sheet is posted on a special blog page, Accurail Prototype Data. One last data sheet is in the works to cover the remaining prototypes Accurail has announced for their 36-foot box car models. That will be posted this summer as the release date draws near for these new models.